A couple of weeks ago, we broke news over a 32GB Nexus 7 that was headed to UK retailers. Since then, numerous reports have come out to solidify that report, but today’s might be the nail in the coffin. 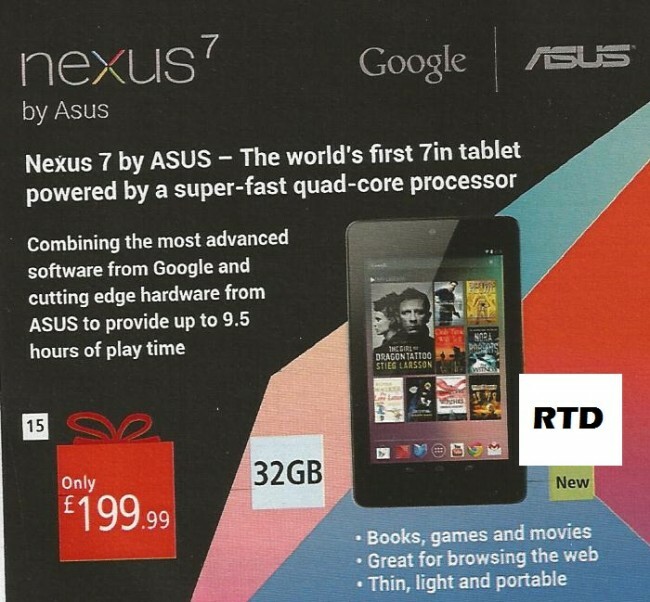 UK retailer Argos released its Christmas shopping guide this week that includes a listing for the new 32GB Nexus 7. It’s listed at £199.99, the same price as the current 16GB model. I’d say there is a good chance that the 16GB model disappears after all. The Only True Comparison of the iPhone 5 and Galaxy S3 - Will They Blend?